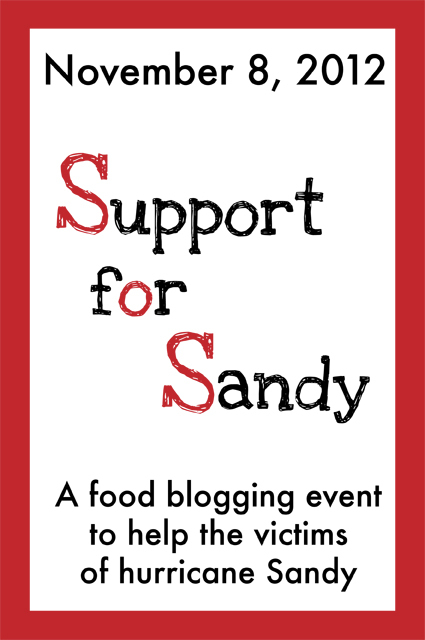 When Jenn and I decided to initiate an effort hoping to pull food bloggers together in support of the victims of Hurricane Sandy, we had no idea what to expect. We certainly could not have foreseen the almost surreal response to that effort. If it has been heartwarming to be but a small part of this process; I can only hope it will warm the hearts of those for which this effort is focused on…friends, family and strangers who are suffering from the effects of a super storm that ravaged the Northeast. For everyone in the midst of this life struggle, please know that I and others care about you; how it is almost incomprehensible what you are dealing with, imagining the losses you have suffered and the despair that this event has brought to bear on you, both people we know and strangers we do not. If it was within my power, I would love nothing more than to offer a hot meal and a warm bed to those in need but I am thousands of miles from the northern Atlantic coast, living in Denver nestled up next to the Rocky Mountains. So, I’m doing the best I can in a difficult situation. I am a food blogger and blogging about food is a real testimony to who I am. I am a caretaker. I feed people…in sickness and in health. I’ll bring you a pot of soup if you’re not feeling well or make you a birthday cake in celebration. So in keeping with the spirit of making a comfort food dish, this Meatloaf with Garlic Mashed Potatoes is probably the epitome of what I would call comfort. I’ve associated meatloaf with home cooking for as long as I can literally remember. I know my mother made it for my family when I was a child and it was part of a steady rotation of foods that I made for my children when they were growing up. My daughter Emily wanted to participate in the preparation of this meal and suggested we also make a broccoli dish she loves from Ina Garten and it was a great choice. 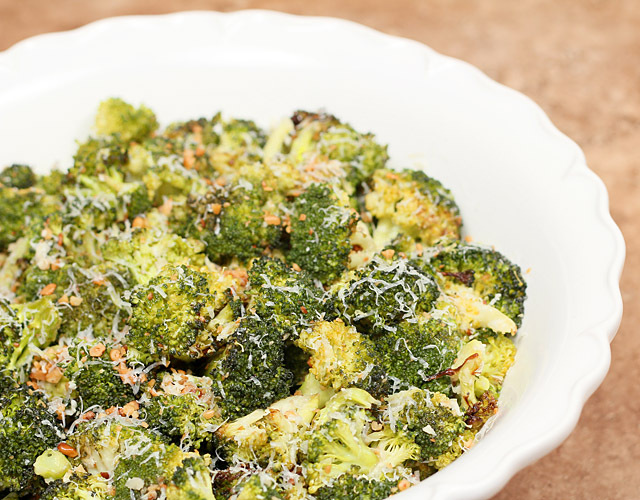 Roasted broccoli and garlic is mixed with lemon juice, toasted pine nuts and topped with Parmesan. Easy to prepare and the perfect side dish too; just click over to the Food Network site for that recipe. When I say this effort is from my family to yours, it’s true in every way…thanks Em for being here with me and helping me so much. I wonder why I don’t make meatloaf more often; having put it far on the back burner since my girls no longer live in my home. It does remind me in a way of turkey. Turkey? Yes…both foods I typically love so much more the next day in the form of sandwiches. But I have to tell you…this one might have changed that status. It was absolutely fabulous and a new recipe for me. This is a combination of a couple of recipes from ‘The Meatloaf Bakery Cookbook.’ Although for some other situation I might be tempted to make something ‘cute ‘(hotdog loaves and cupcake loaves come to mind) for this event I wanted something that brought to mind memories of those meatloaves I had growing up but maybe with a twist. When perusing the cookbook my search stopped at ‘The Father Loaf.’ Beef is combined with pork and seasoned with most of the usual suspects but finished with barbecue sauce. While the cookbook featured this meatloaf with some cheesy mashed potatoes, I just love the garlic mashers that were featured on top of the ‘Mother Loaf’ – guess you could call this the ‘Mom and Pop Loaf.’ Heaven on a plate, I promise you. I would love for you to make this recipe for your family but don’t stop there. 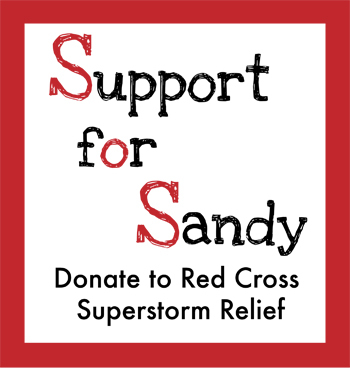 Think of those folks that are struggling to recuperate from Sandy and please give something; I’ve provided some links after the recipe to organizations that are on the ground now helping. Combine oatmeal and bread crumbs with milk and let soften. In a separate bowl, beat 2 eggs lightly. Add ketchup, Worcestershire sauce, barbeque sauce, garlic and seasonings. Mix vegetables with meat (pork and beef) by hand; add softened bread/oatmeal mixture. Combine the egg mixture with the meat/vegetable mixture and mix well by hand. Line 9-inch loaf pan with plastic wrap. Pack the meatloaf into the container. Cover a cooking sheet with aluminum foil and top with a cooling rack if possible. Flip the loaf pan over onto the prepared cookie sheet; using the plastic wrap if necessary to help form the loaf on the pan. Bake at 350° degrees for approximately 30 - 45 minutes until internal temperature reads 165°F. Spread the barbecue sauce over meatloaf for the last 15 minutes. Put the garlic in an oven proof dish and cover with olive oil. Bake for approximately 15 minutes until the garlic is soft and brown. Remove from the oven and remove the cloves from the oil and mash on a plate. Reserve the oil. Put the potatoes into a large pot and cover with cold water. Bring water to a boil; lower heat to a slow boil and cook for 15-20 minutes or until fork tender. Drain in a colander. Mash the potatoes in the pot using a potato masher or use a large mixer, mixing only as much as required to break up the potatoes. Add the milk, butter, sour cream and reserved olive oil and incorporate. Season with salt and pepper to taste. Using a piping cone or a large ziploc bag, pipe the potatoes onto the top of the meatloaf or alternately dollop them on top. Garnish with chopped parsley and serve. Would you like to join us? It’s never too late and the need is so great. It’s as simple as sharing a comfort food with your readers and urging them to make a donation; no matter how small. Blog about your recipe and share it on Facebook and on Twitter using the hashtag #FBS4Sandy. Please join us in sending a message of comfort and calling for donations to help those in such need. It really is a time when ‘every little bit helps’ so please join us. Give a little or give a lot but whatever else? Please do something. We’ve included the code for a badge you can include in your post and it links to the American Red Cross; an organization known for acting quickly and efficiently in times of need and what they need most now are your dollars. Some of these photos are truly heartbreaking…how can we not help? We’ll be tweeting using the hashtag #FBS4Sandy; be sure to ask your friends to join us. I hope this effort manages, in some small way, to wrap the arms of the food blogging community around those who are in such need; we have a lot to give! Jenn and I will keep the link tool at the end of our posts open through the end of November for you to link up your #FBS4Sandy posts; we would love for you to join us. Thank you so much for this initiative, Barbara. I’m so glad to be a part of a very generous blogging community — creating awareness to help others. I will tell her she must read this post and the comments; that will make her very happy…thank you. And I agree with you; some bloggers are really wonderful and they stepped up to the plate on this one. Great cause, great meatloaf. When I was growing up, meatloaf was a dish my mother served once a week. It’s actually one of those dishes that I rarely make, but yours is making me nostalgic. I should definitely give this a try! Thanks. Loved having you join us Addie…almost 100 submissions! Jenn and I both have loved seeing the huge response to a call to action to show support for those hurting; we can only hope it sends a message to all those affected that they are being thought of and that people all over this country want to help. Meatloaf it definitely a comfort food for me, and I love your presentation! I wanted to stop by and say hi and let you know I participated in this wonderful blogging event! My comfort food of choice was Deviled Eggs. Thanks so much Justin. Deviled eggs are one of those other dishes I seldom make and then when I do or when I’m somewhere they are served I could devour them. I think I’ll make my holiday dinner from this list of comfort foods! Thanks Terra, it really was sort of the perfect combination. I can’t wait to make it again I loved it so much. The week nearly got away from me but I just posted a vegetable soup to join in your efforts to aid the people suffering from Hurricane Sandy. Well done, Barb and Jenn, thanks for motivating a group of people to do something more to help. Btw, the mashed potatoes look nearly as wonderful as the meatloaf. really nice! There you are…glad you could join in! We’re asking folks to add their posts and links all month long so no one is late; we’re all in this together whenever it works…it’s the spirit that counts. Thanks Holly. This is most definitely comfort food extraordinaire! Thanks so much to you and Jenn for organizing this event. I love your version of meatloaf and thank you so much for organizing everything! Susan my thanks to go you and everyone else for participating; I’ve gotten a lot of personal feedback and know many were touched by the efforts of all of the bloggers involved. Plus we have a great source of comfort food recipes now! This meal warms my heart! I’ll bet it tastes just as good as it looks! Thank you for spearheading this comfort food movement Barb! I’m thrilled to have taken part in such a worthwhile cause! And thrilled to have you…I can cook all winter from this list alone! Barbara, thank you and Jenn so much for putting this together! We were happy to start something…couldn’t have amounted to much without such great participation…thanks so much! Meatloaf is one of my favorite comfort foods! And it’s the dish that keeps of giving! Thank you for organizing this awesome event! Seriously it’s my thanks to you and everyone else for participating; we’re leaving the link tool open all month…what a fabulous plethora of comfort foods and a clear indicator of the support folks have who are going through this. Thanks Rachael…if you want to join us; we’re keeping the link tool open all of November. We really think with community we can build greater awareness. Love that you are cooking with your daughter, and thanks to you and Jenn for hosting Support for Sandy! 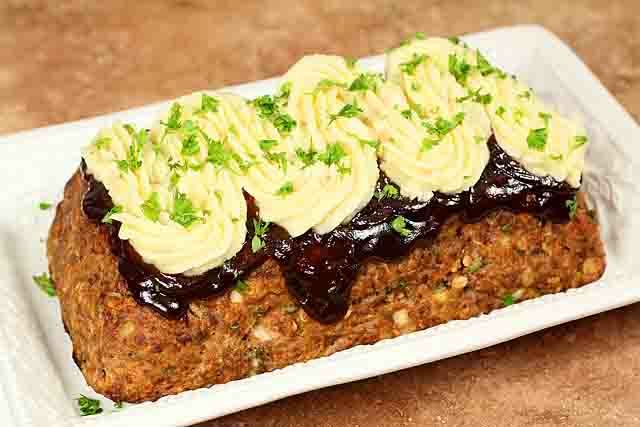 Your meatloaf looks divine, and those potatoes on top add a beautiful touch! It is a winning combination! Thank you. I had never decorated with mashed potatoes before and now…well, look out world…I’m going to be putting them everywhere! Thanks so much for joining us! Yes…she wanted to help and I loved that too; thanks for joining us! You and Jenn are wonderful for pulling this and the blogging community together! Thank you. 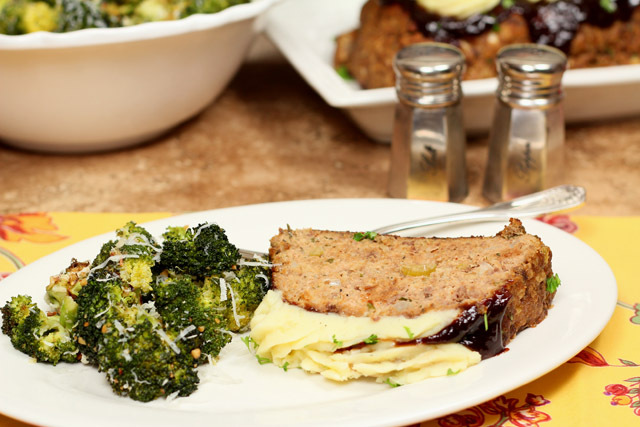 Your meatloaf is beautiful (never thought I’d say that about meatloaf) and your daughter’s side of roasted broccoli is perfect with it! You know what Paula…it was really pretty easy. We had an idea and within 2 hours we had set it in motion. The real heroes of this effort are you and everyone else who has come alongside us to help spread the word. Love all of you for that. The ultimate comfort food, I have to get busy and post my comfort meal today! 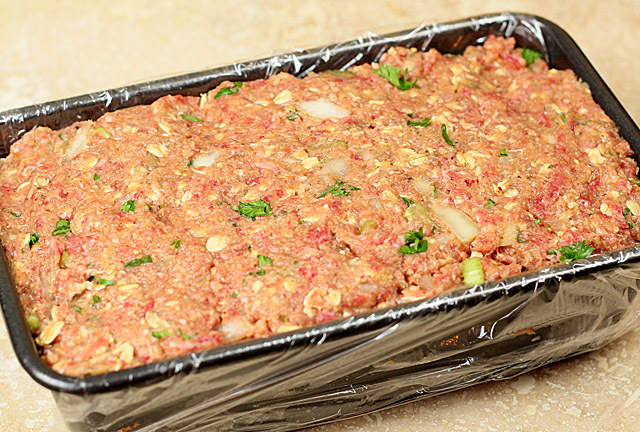 This is great meatloaf, totally comforting to those you absolutely need some comfort! I only wish I could invite them in. I feel guilty having so much empty space when people are in such need. We all just need to keep giving and not forget how much is needed…thanks for stopping by Lisa. I think it’s something we all love but forget to make. I’m going to change that! Thanks for participating with us Jayne. I love meatloaf! It truly is comfort food at its finest. I really love that you topped it with those garlic mashed potatoes. Whoa! Seriously yummy! This was AMAZING. I have never made it with pork before and now…well, it was so good I have to give some credit to the pig! Meatloaf is the ultimate in comfort food. Thanks Barb for initiating this with Jenn. It was our pleasure Mardi…we felt helpless and seemed the least we could do; thank you for participating.